It~s the casual boot version of the world~s first comfort shoe in beeswax leather. The Wallabee boot from the Clarks Originals Collection features a moccasin construction and structural silhouette. Featuring clean and simple lines, this comfortable lace-up style is teamed with a signature crepe outsole to cushion each step. 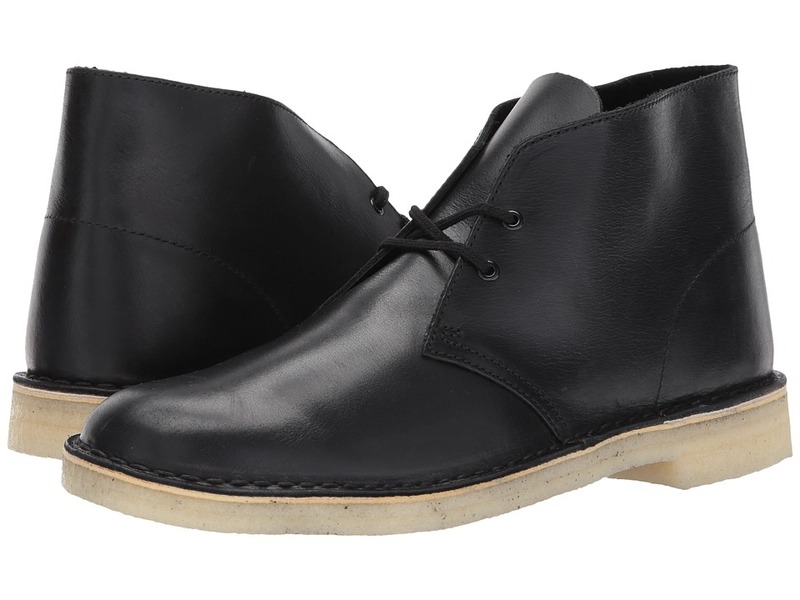 Wear this timeless men~s boot and add instant style to any outfit. Desert Mali, men~s black leather lace-up Clark~s Originals - These impressive boots offer a smart twist on the Clark~s Originals Desert Boot, with the same clean lines, premium materials, Originals fob and signature crepe sole. Featuring a higher ankle profile for added support. This archive inspired ankle boot tips a nod to the classic Clark~s Originals Wallabee. Beckery Hike is distinctive mocc inspired upper features tumbled leather with a rich, oily pull-up and rides on a statement crepe wedge outsole with double stitch leather. An international cult classic, the Desert Boot was inspired by the crepe soled boots worn by British officers in World War II. Soft, supple suede uppers and genuine plantation crepe outsole deliver all day comfort. Timeless styling has remained unchanged for fifty years. Plantation crepe outsole and suede lined counter cushions foot and buffers shock. Maintains heel stability. Toe box allows natural toe spread and reduces foot fatigue. Outsole prevents slipping, ensures fit and enhances natural walking motion. The must-have slide-on, this sandal features the classic double-buckle style with crepe outsole. A leather lining provides soft cushioning for bare feet, whether by the shore or on city sidewalks. Opt for it in brown eather for versatile style that goes with warm-weather styles, as well as with linen, denim, and khaki pants during transitional seasons. An international cult classic, the iconic mens Desert Boot by Clarks Originals was inspired by crepe-soled boots worn by British officers in World War II. Crafted from natural materials including beeswax leather for supreme comfort, its timeless styling is great! Weaver Moccasin A reinforced heel and laces add modern elements to the traditional design, while a textile lining buffers the foot for added comfort. A crepe sole provides structure to the broken-in look. Wear the Weaver with denim and cords to complete a casually stylish look. Nature-formed last allows for a natural toe spread with a leather sockliner to keep feet comfortable and dry. Leather or suede upper in a hand-stitched moccasin style. Lace-up closure for a secure fit. Lightly cushioned footbed Genuine plantation crepe outsole cushions the foot. Rubber sole. Wallabee Loafer It~s the casual boot version of the world~s first comfort shoe in charcoal tumbled leather. The Wallabee boot from the Clarks Originals Collection features a moccasin construction and structural silhouette. Featuring clean and simple lines, this comfortable lace-up style is teamed with a signature crepe outsole to cushion each step. 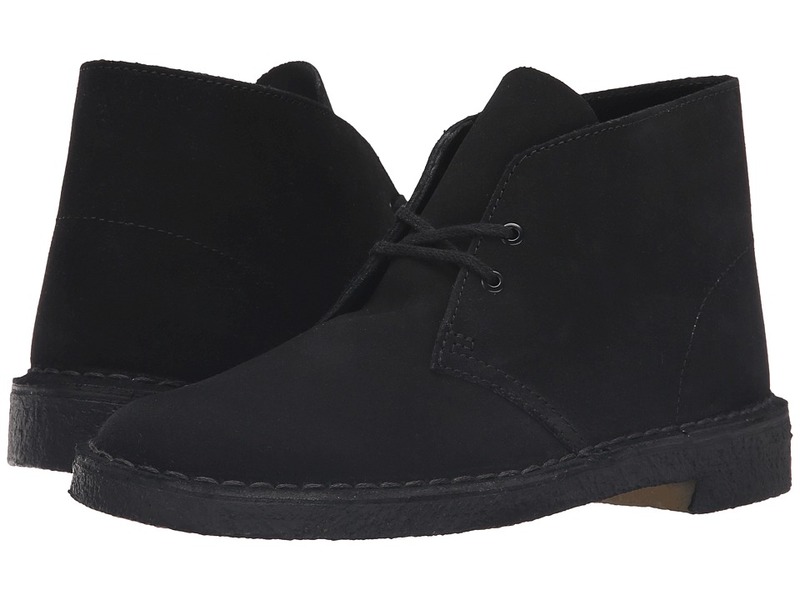 Wear this timeless men~s boot and add instant style to any outfit. Fastening. LaceUpper Material Leather Sole Material Crepe Mid Sole Material EVA Lining Material Unlined Heel Height 1.25 inch Boot Shaft Height 4.25 inch Boot Shaft Circumference 13.5 inch. An international classic, inspired by the crepe-soled boots worn by British officers in World War II. Soft, supple suede and full grain leather uppers. Nature-formed last allows for a natural toe spread. Suede lined counter promotes heel stability. Leather covered EVA footbed to keep feet comfortable and dry. Genuine plantation crepe outsole delivers all-day comfort. Measurements: Heel Height: 1 1 4 in Weight: 1 lb 3 oz Shaft: 4 1 2 in Platform Height: 1 2 in Product measurements were taken using size 9.5, width D - Medium. Please note that measurements may vary by size. Weight of footwear is based on a single item, not a pair. The Georgia GR262 Georgia Giant Romeo is a high performance shoe with superior comfort for all-day wear. Full grain leather upper. Stretchable nylon panels on each side for easy flexibility. Two nylon pull loops for easy entry. High performance textile lining for added breathability. Goodyear Welt construction provides superior durability. Cushion insole provides underfoot support and comfort. EVA midsole has excellent cushioning for shock absorption and support. Oil resistant rubber bumper guard. Steel shank. Oil-resistant Crepe Wedge outsole. Wedge shape design of outsole provides added arch support. Imported. Measurements: Weight: 1 lb 14 oz Product measurements were taken using size 10, width D - Medium. Please note that measurements may vary by size. Weight of footwear is based on single item, not the pair. 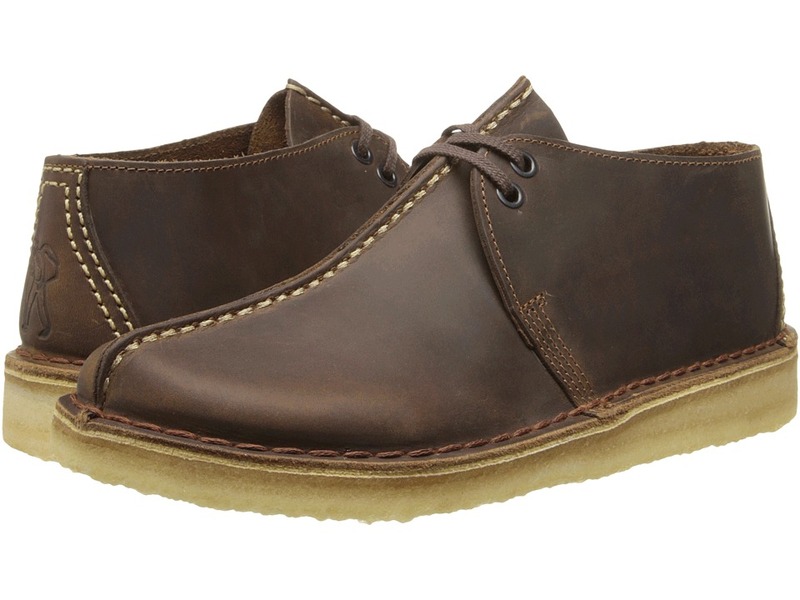 The Wallabee is part of the Clarks Originals Collection. Add a classic favorite to your casual wardrobe with the Clarks&amp#174 Wallabee. Leather upper in a hand-stitched moccasin style. Lace-up closure for a secure fit. Nature-formed last allows for a natural toe spread with a leather sockliner to keep feet comfortable and dry. Lightly cushioned footbed. Genuine plantation crepe outsole cushions the foot. Measurements: Heel Height: 1 2 in Weight: 11 oz Product measurements were taken using size 8.5, width B - Medium. Please note that measurements may vary by size. Weight of footwear is based on single item, not the pair. An international classic, the ~Desert Boot~ was inspired by the crepe-soled boots worn by British officers in World War II. Soft, supple suede and full grain leather uppers. Nature-formed last allows for a natural toe spread. Suede-lined counter promotes heel stability. Leather-covered EVA footbed massages the foot with each step. Genuine plantation crepe outsole delivers all-day comfort. Measurements: Heel Height: 1 1 4 in Weight: 1 lb 4 oz Shaft: 4 3 4 in Product measurements were taken using size 11, width D - Medium. Please note that measurements may vary by size. Weight of footwear is based on single item, not the pair. 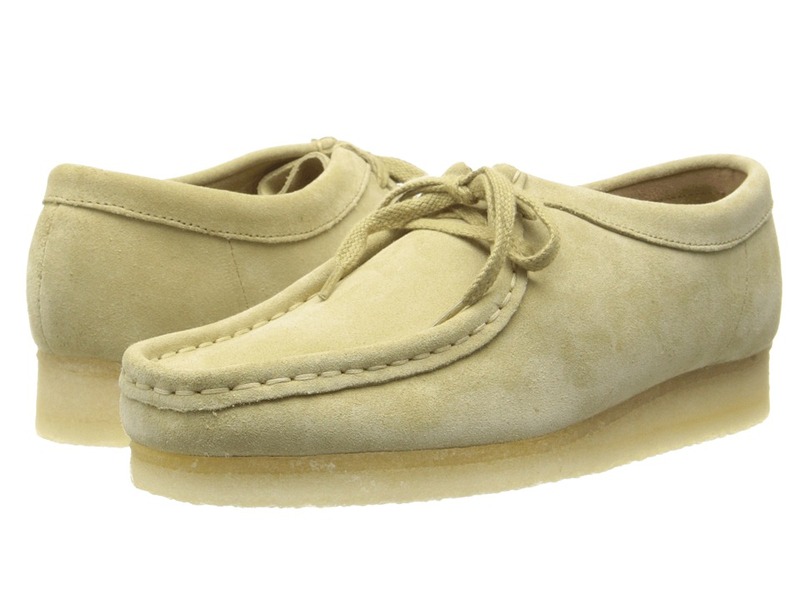 The retro Desert Trek has been a Clarks classic for nearly 30 years. Soft leather, suede, or canvas upper with signature center-seam design. Nature-formed last allows for natural toe spread to promote good foot health. Suede-lined counter maintains heel stability to prevent slipping and ensure a proper fit. Leather-covered EVA footbed wicks away moisture and conforms to the foot for a customized fit. 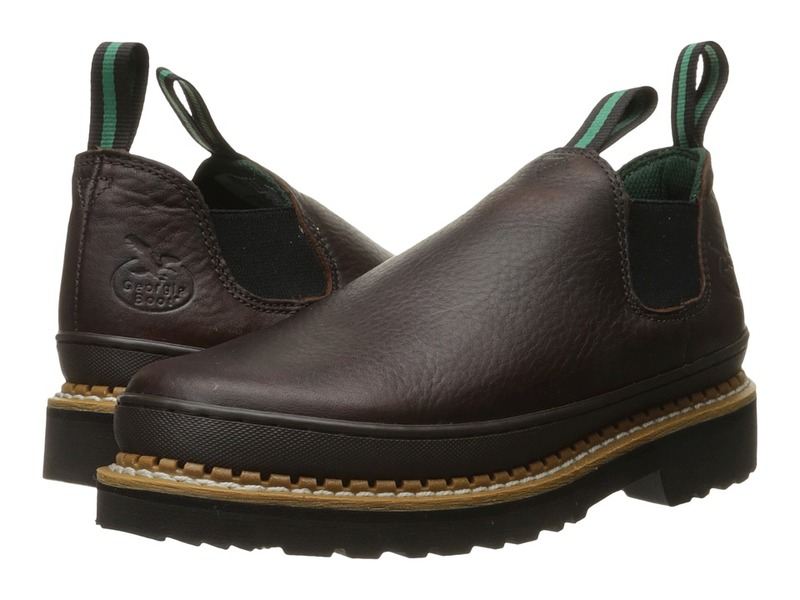 Genuine plantation crepe outsole cushions foot and buffers shock for reduced foot fatigue. Stitchdown construction, in which the upper is stitched directly to an insole board and then cemented on the outsole, provides lateral stability with flexibility from heel to toe. Measurements: Heel Height: 1 in Weight: 1 lb 1 oz Product measurements were taken using size 7, width D - Medium. Please note that measurements may vary by size. Weight of footwear is based on single item, not the pair. Ariat styling in a high performance boot. Full grain leather upper. Stirrup-friendly sole design with Ariat ATS technology for maximum stability and support. Synthetic leather lining. Moisture wicking, antimicrobial sock liner. EVA footbed base. Molded orthotic arch and heel support. Gel pad in forefoot. ProCrepe outsole with Duratread heel provides maximum abrasion resistance and energy absorption and rebound for all-day comfort. Dual pull on straps. Saddle vamp. Six-row stitch pattern. Measurements: Heel Height: 1 1 2 in Weight: 1 lb 9 oz Circumference: 14 1 4 in Shaft: 10 in Product measurements were taken using size 7.5, width B - Medium. Please note that measurements may vary by size. Weight of footwear is based on single item, not the pair. Perform at your best with the riding-approved Probaby Lacer boot by Ariat. 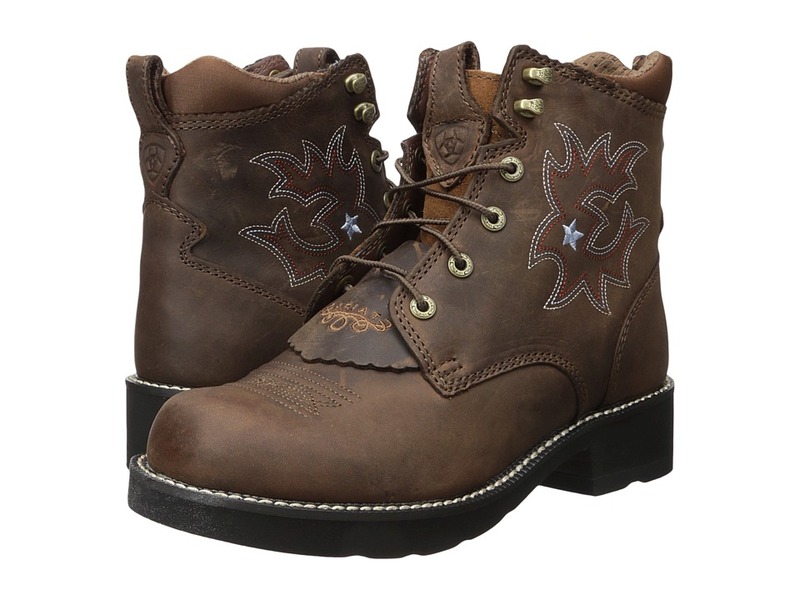 Full-grain leather upper with three-row stitching detail and embroidered star. Traditional lacing for a preferred fit. Kiltie adds forefoot protection and traditional flair. Lycra stretch fit collar for added flexibility. Fatbaby toe. 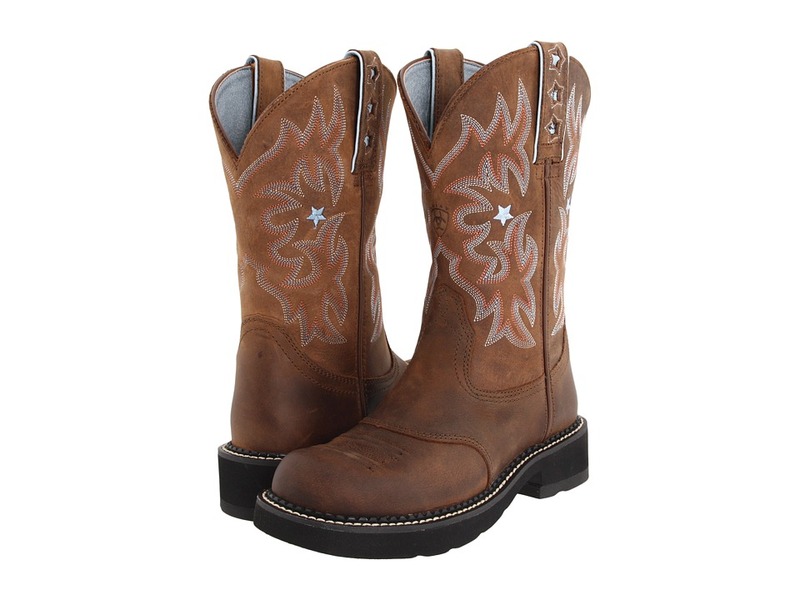 Ariat~s exclusive ATS Technology provides superior flexibility, support and balance. Stirrup-friendly outsole design. Pro Crepe rubber outsole provides extra comfort and superior traction with a Duratread heel for added stability and support. Imported. Measurements: Heel Height: 1 1 2 in Weight: 1 lb 3 oz Circumference: 9 in Shaft: 5 1 2 in Product measurements were taken using size 7, width B - Medium. Please note that measurements may vary by size. Weight of footwear is based on single item, not the pair.